DTP or Data Transfer Process is basically used to load data between two BW’s InfoProviders. It carries an information like from the data is extracted from; where the data is supposed to be loaded to; setting on how the extraction and loading shall be executed, error handling etc. All these information can be adjusted for one DTP. This leads to creation of many version of the DTP over its life time. These versions are stored in table RSBKDTPH - DTP: Historic Versions. 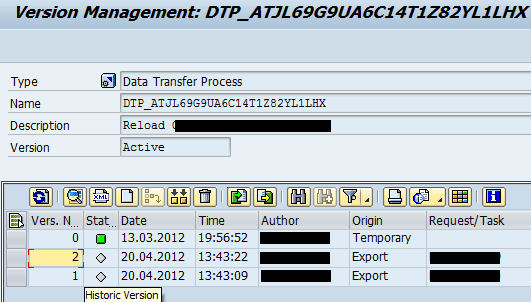 Normally when the DPT is shown in tcode RSA1 the latest version is shown. When former version of the DTP or called as Historic Versions in BW’s terminology shall be shown it can be used as well. 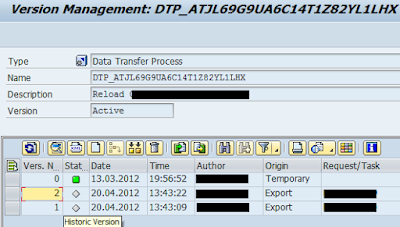 Within the UI of the DTP within the RSA there is a screen called Version Management available. However in this screen only meta-data of the DTP version is shown. No real picture of the DTP how it really looked at the time when now historic version was active one. To showing historic version of the DTP how it really looked in the common DTP framework we need to use different tool. The tool is called tcode RSDTP. Below are screenshots of the same DTP displayed its different historic versions in the RSDTP. In this view it is clearly visible what was different in the two versions. can you tell me which release do you use? 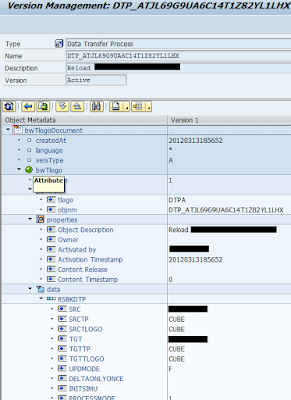 In my SAP BW 7.31 SP18 isn't the historic Version available, even though in the table RSBKDTPH are entries for this dtp. 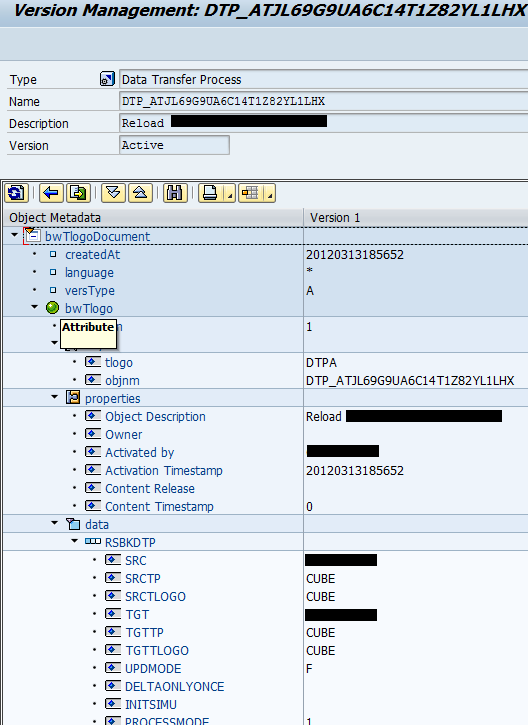 I'm on SAP BW version 740 SP 09. I think tcode RSDTP is available since early SP of 74 version.